Star Wars: Episode VII is kind of a big deal, you probably guessed that. It’s also a huge secret. Director J.J. Abrams, Disney, and Lucasfilm kept the cast under wraps until they were just about ready to get the cameras rolling, and the plot has been more heavily guarded than many classified government documents. But just like there are leaks in government agencies, there are leaks from the London-based set of Episode VII, and the latest rumors floating around may give you an idea of what the story of the latest addition to the Star Wars canon may look like. Stop reading if you don’t want to encounter SPOILERS. Things are intentionally vague, but still, it could ruin things for you, so you may want to STOP READING now. You’ve been warned. Oddly enough, the rumors floating around involve a hand floating around in space. This report comes from multiple sources cited by Badass Digest, who are pretty reliable when it comes to this sort of thing, and aren’t known for randomly spouting unsubstantiated hearsay. Still, this is all unconfirmed, so make of it what you will. According to the report, the first image you see after the traditional opening crawl is hand, a severed hand clutching a lightsaber, just sort of drifting around in space. It eventually lands on desert planet that may or may not be Tatooine, where the characters played by franchise newcomers Daisy Ridley and John Boyega happen upon the dismembered appendage. There are no details on the nature of who these two folks are, but they recognize this as the preferred weapon of the Jedi Knights, and go on a quest to return it to its owner. If I find a disembodied hand I immediately assume the person it belongs to is way dead, but maybe I’m a pessimist. 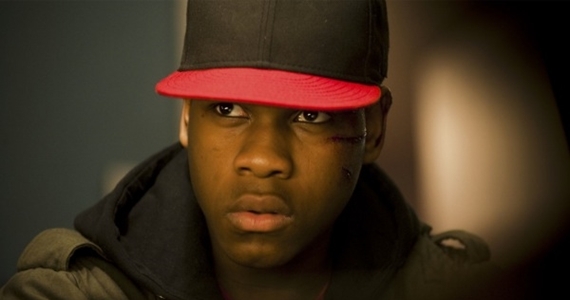 This also confirms rumors that Boyega is the main character, and that he “own” in Episode VII. Their journey leads them off of their dry, arid planet, where they encounter Han Solo (Harrison Ford) and Chewbacca (Peter Mayhew). While the duo is still flying around the galaxy, it’s not in the Millennium Falcon. The report doesn’t share the true nature of their ship because it’s apparently a big spoiler, so we can only speculate. This isn’t just any old lightsaber, Han and Chewie recognize it as belonging to Luke Skywalker, which concerns them because they haven’t seen their old pal since the events of Return of the Jedi 30 years earlier. That’s a long time to stay out of touch, but if those earlier, Jedi Hunter reports have any validity at all, it’s entirely possible that he could be in hiding. However this works out, the mission becomes a search for the long-lost Jedi. This set up has garnered comparisons to the narrative arc of A New Hope, reportedly an intentional move as Abrams and company want to recapture the magic and wonder of the first trilogy. It sets characters in motion on a journey that will carry them through three movies. While this could easily be a rehash, it sounds more like a similar launching point that will trade in nostalgia, but hopefully lead down a different path. But the hand and the quest to find the missing Jedi aren’t the only things we’ve learned from this report. While all of this is going on, there are also “nefarious forces” at work, building a new “super weapon” in secret, much like the Empire did with the Death Stars. Squirreled away on a remote, unexplored ice planet in some far corner of the galaxy, this is a device “capable of destroying not planets but entire solar systems.” That’ll be fun. So what do you think? Do you like this beginning to the new saga? How about the overall direction? Do you think it’s accurate, or do you hope Star Wars: Episode VII turns out to be nothing like this when you sit down in theaters on December 18, 2015? I don’t sense a disturbance in the Force. I could be wrong. So far I’m not feeling particularly confident about this beating my expectation. The recovered severed hand idea was done in the Doctor Who universe with Tennant and Torchwood, so that’s not a fresh idea. I won’t pass judgement before I see it, but damn it’s hard to hope for the best with Abrams at the helm or Bad Robot as the production company. How does the hand enter the atmosphere without burning up? I’m not the biggest SW fan, but I think this story is a complete fabrication. I hope that hand isn’t meant to be Luke’s severed hand from The Empire Strikes Back. Why would Luke need to be in hiding? Why the lack of contact between Han and Luke? So far, this makes no sense. Yeah, the more that you think about all of this, the less and less likely it all sounds, for a variety of reasons. I was hoping the lead would be a female personally. The series has always had strong females, would have been nice to see a lead role in that respect (however not a bad choice here). The hand aspect sounds interesting, but when you start to think about it just makes no sense. 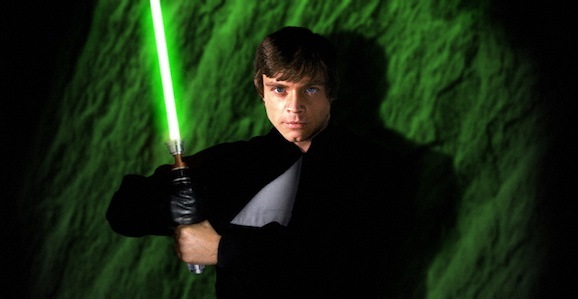 Hand gets lopped off in space, still clutching a light saber, survives re-entry and the impact too….one hell of a grip. Sounds like a decoy plot, something that was “leaked” to throw everyone off. Re-capturing the wonder of the original, by copying the story arcs and mirroring everything with pointless parallels is where the prequels went wrong in the first place, that, and having no discernible main character, let’s hope they at least have a main character this time. Yea after what Abrams did to star trek (not that they are bad movies, they’re just not star trek hell they are more like star wars ). I am afraid that he will do his own thing and to hell with us. I wish they got the new Godzilla director to make it star wars that SOB has talent and is a fanboy. Abrams just loves himself. Yeah most likely none of this is true. They would never move so far away from the premise of all the books that followed. The only thing plausible is the new super weapon, which was a creation in the books with the addition of Kyle Kattern. a device “capable of destroying not planets but entire solar systems.” Kyp Durron and the Suncrusher? I hope they are talking about the Vong. I think they are from everything I’ve heard. If so I hope they stick close to the books. I could be wrong, it’s been awhile, but substitute the hand with a Coke can and isn’t this the plot of The Gods Must Be Crazy? Please don’t tell me that the Empire never figured out not to build weaknesses into the center of their space stations? So, instead of marrying Leia, Han lives with a wookie the rest of his life?